On the journey to the best team logo in the NHL, we’ve entered the next phase. From my perspective, we’ve left the Land of the Truly Horrible Logos and entering the Expansive Grove of the Mediocre. This area has some pretty decent logos in there, but nothing that makes them truly exceptional. It’s like the group of teams that have an outside chance of winning the Stanley Cup, but definitely not a favourite. The fact that we’re only at #24 and we’re already in that second tier of logos says something about the quality of most of the logos in the league. The ones from #25-#30 had way more going wrong with them than going right. Now, there’s more going right with these logos, but there’s still some things going wrong. 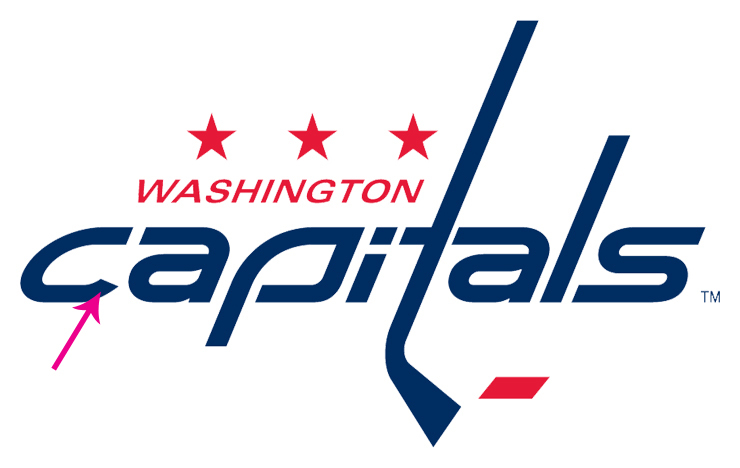 Okay, that was a bit of a lead-in, but bringing up the bottom of this new expansive grove of logos is the Washington Capitals. They have similar problems to that of the Anaheim Ducks, in that it’s a font-based logo (which is not necessarily a problem) that is more horizontal than vertical (which is definitely a problem). That’s enough right there to push the logo down to #29 on this list, but it’s got enough style and simplicity going for it to keep it from the basement. Here’s why. The ‘p’ is excellently-shaped and has a great feel to it. The ‘i’ and ‘l’ are fine, although it’s hard to screw those up. The ‘t’ has issues since the design of the crossbar creates an area of deadspace between the ‘i’ and the ‘t’ that’s distracting. The ‘s’ I can live with. The extending arm on the bottom of the letter works well in this instance, when smashed up against an extra-tall ‘l’. However, that extending arm is copied on the second ‘a’, and that really doesn’t work. I’m assuming it was to balance the white space between the ‘i’ and ‘t’, but it creates an awkward and clunky letterform. As well, the counter is shaped oddly and could have just been flush, like on the shoulder. And the spur doesn’t need to be there either. The spirit of the ‘p’, which is well-done, is not extended to the ‘a’ at all. And the kerning between the ‘a’ and ‘p’ could be narrowed. That leaves the ‘c’. It’s caught somewhere between the styles of the ‘a’ and the ‘p’, making it look kind of half-finished. The finial on the ‘c’ is probably the worst part of the whole word. Okay, so that was a mini-lesson in typography terminology, but to sum everything up, here’s an alternate version of the current logo that I slapped together, addressing all the issues above. Not perfect yet at all (the ‘t’ still bugs me), but after a 10-minute job, there’s definitely a cleaner and more cohesive feel to it. Astute observers may notice that I also changed the blade of the hockey stick and the puck a bit too. It doesn’t make sense to me why these are on a different angle from the rest of the logo, as it doesn’t create dynamism, but rather confusion, so I straightened those out as well. 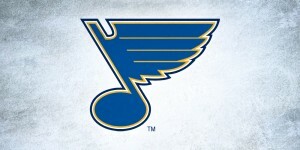 On another note, vintage is the new black in NHL logos, and the Caps logo is a good example of this. 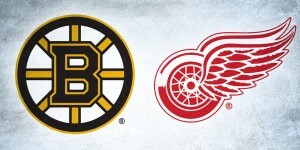 After flirting with eagles, architecture and awful colour schemes (Hunter to the box, 2 minutes for dressing badly) during the ’90s and ’00s, they went back to a similar look as their original logo (at left), but threw out the quasi-Helvetica backward-italic font to create a brand new one, and that makes me happy. Helvetica’s great, but it looses it’s distinctiveness when everyone uses it all the time. The stars work well on the logo since it adds a little bit of upward movement for the eye. The design of the old logo causes the eye to pretty much go straight across. On the new one, the eyes start at the ‘c’, go diagonally up (helped out by the stars) to the top of the hockey stick, then back down, then back to the ‘c’. It creates a nice balance and cyclical movement. As for the rest of the logo…The colour scheme makes perfect sense for it’s location, so no complaints there. The “Washington” is bland enough to allow the “Capitals” to shine through, although (like the Ducks) the “Washington” doesn’t really make sense to even include since it’s too small to read during gameplay anyway. But what I really appreciate that is they didn’t try to overdo it, like in their logos from the ’90s and ’00s, and in most of the logos on the bottom of the BTLNHL list. Simplicity. Less is more. More is also more, but sometimes less is more. Makes perfect sense, no? Oh, and bonus points for their alternate logo patch. See the Capitol building in there? Very clever. I love good use of negative space. So, there’s some pluses, some minuses on this logo, but the horizontal nature of the logo is, again, a big strike against it, as it was with the Ducks. So, the Washington Capitals sit in 24th spot. Like I said, I was kind of expecting the Caps to be in the lower ranks somewhere. Good job on the article, I really liked the alternate version you created – it does look a lot better. 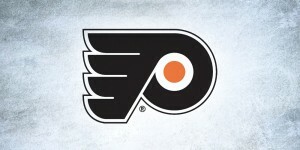 I love their alternate logo, as do most fans. The Weagle, as far as I’ve seen, is being used more and more than the main one. What do you think about a jersey with the Weagle in front? Great work, keep the articles coming! Love the Weagle! I could write a whole post just about that. It’s really a clever and well-executed design. I’d love to see that become the official logo, and on their jerseys. If it’s being used more and more, I’m sure we’ll see an alternate jersey show up in the next year or two with it. Thanks for reading and glad you’re enjoying it! i have never, ever, ever noticed the congress building in the white space of the patch. pretty damn cool. keep ’em coming! I know, I didn’t notice it right away either. Love that subtle touch. The congress building? Are you kidding me? Its called the Capitol. Not the Congress Building. Whoops, sorry about that. It has been changed. Thanks for noticing. I really liked the purple jerseys with the eagle logo. But based on where the team plays it makes much more sense to do red, white, and blue. I still feel the logo is boring though. I don’t think the alternate logo would work as a main logo. Too much dead space in the middle. And the symmetrical nature of the wings doesn’t work for me. Clicked through from Puck Daddy. Love the blog, looking forward to the rest of your reviews! Thanks, glad you like it! And thanks for commenting! Considering that I’m a hockey geek that’s studying to become a graphic desig, and is currently reading courses on typography and branding, this blog is pretty much a perfect fit for me. Really looking forward to future posts, gonna be interesting to see where you place the Rangers. Cool, glad you like it. Thanks for commenting! Isn’t the “pita” so goofy because it’s supposed to represent a goal cage? Could be. I responded to Baltimore Berserk in another comment about this. actually, the weagle has both the capitol building as well as the angled top of the washington monument. this is represented in the blue arrow pointing up right under the eagles white head. @NA I never noticed that the top of the Washington Monument was in the Weagle as well and I was at the unveiling back in 2007. The team’s holding company is now called Monumental Sports & Entertainment, so it makes a lot of sense. 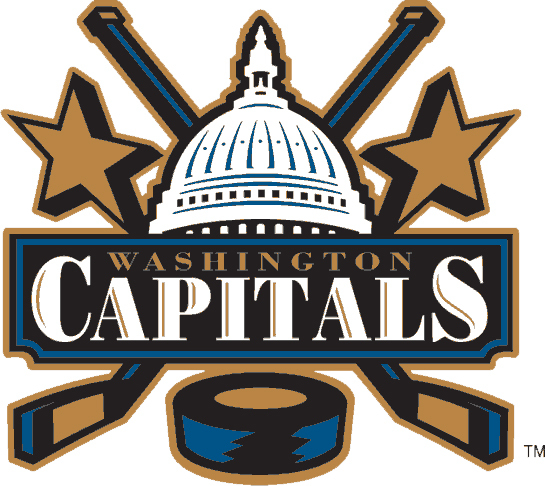 I grew to love the Caps uniforms but I have a few gripes — no stars on the sleeve and “capitals” isn’t CAPITALIZED. I kinda agree with Caps not being capitalized, but I think it’s harder to make “capitals” dynamic with capitalized letters without making it look “minor league”. Never noticed the Washington Monument in there. Based on the architecture, it’s not going to be as obvious as the Capitol, but still a nice touch. To be honest, I never noticed the goal frame in there before. But, it’s also not explicitly designed in there (that is, the puck, the hockey stick are all very obvious, but the net, not as much). Theoretically, it could be a happy accident (which are the best kind of accidents) based on the form and style of the font they created. It’d be interesting to find out for sure. Thanks for the comment and for sharing your thoughts. Dissent in most definitely welcome! I believe the goal post frame is not only intended but forced. It’s the shape of the ‘p’ that ruins it for me. The way the lobe of the ‘p’ morphs into a shoulder, it creates a very awkward white space between the ‘a’ and ‘p’. The other clue that the goal frame illusion is intended is the lobe of the ‘p’ was not closed. I would like to see it with the top of the ‘p’ flipped around instead of trying to force the goal post. This would get rid of the dreaded ‘pita’. BTW. Your 10 minutes of changes was a huge direction towards the positive. It’s funny, I was thinking about that when I wrote the post, but the space between the ‘a’ and ‘p’ doesn’t bother me that much, but maybe because I love the style of the ‘p’ so much, just on its own. The goal frame, if intended, should’ve been scrapped altogether then. It’s not an obvious element (at least not to me), and it just becomes overkill, as there’s already a stick and puck in the logo to reference the sport. I’m not sure forcing a goal frame into the design does anything to enhance it. And thanks for the comments! Always good to discuss design, especially when referencing hockey. 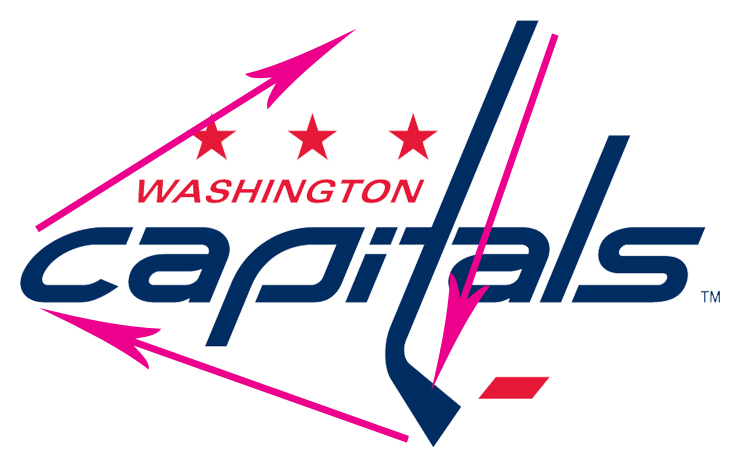 FYI: The three starts and “Washington” below it in red are a nod to the DC flag. Cool, did not realize that. Makes even more sense now. Thanks for the comment! Wow, I’ve never given so much thought to typesets before. I really like the new logos and colors, but utterly despised the previous versions, so nearly any change was good. I didn’t know the terminology before, but the deadspace next to the ‘t’ was something I initially thought odd when seeing the logo for the first time. Moving the crossbar up seems like a rather obvious solution rather than keeping it in-line with top of the other letters. My question about your alternate, which is an improvement, is why not complete the crossbar to extend through rather than hanging on to one side? Not enough space for ‘Washington’? But as you note that could be dropped anyway. BTW the Weagle (despite reminding me a bit of the Muppet Show’s Sam the Eagle) is infinitely better than the one-legged, goofy five-starred eagle of the past. Why 5 stars? The flag has 3! Good question. I have a obsessive-compulsive disorder for lining everything up. It makes me happy. 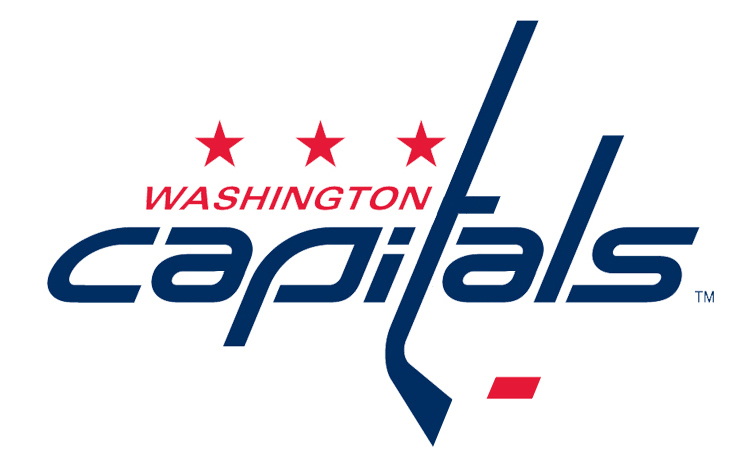 And I think it’s a good quality of any design, so the “N” in Washington lines up exactly with the “i” in Capitals, and the baseline of “Washington” lines up exactly with the cross of the “t” in Capitals. But, as I mentioned, I didn’t spend a lot of time on it at all, so there’s always room for improvement. The crossed sticks/Capitol logo that the team had before was the best. This one is mediocre and the weagle is terrible. Not sure if this has been noted yet, but the three stars on the logo represent the Dc flag ( http://www.target.com/OpenZoomLayer?template=scene7-image&image=Target/10896804_is&swCellSpacing=10,10&swHighlightThickness=1&swBorderThickness=0&itemTitle=District%20of%20Columbia%20Flag ) which draws inspiration from the Washington family crest ( http://www.thetreemaker.com/coats/Washington-England.jpg ). Thanks Mike, somebody also pointed that out as well. Didn’t realize it before, but it makes more sense now. 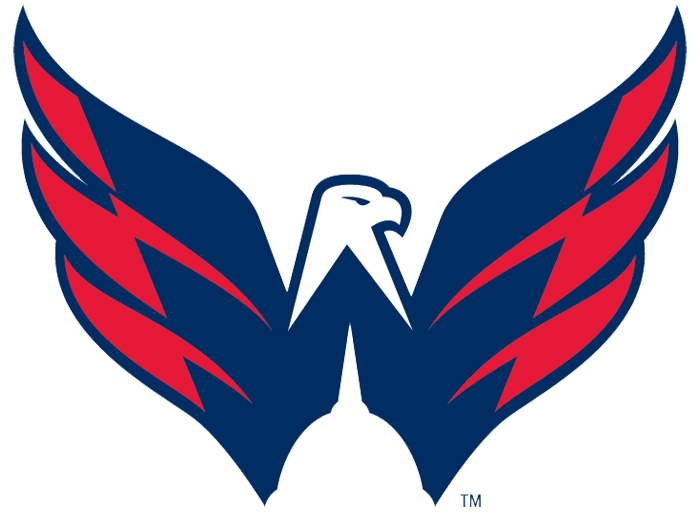 I’m a Caps fan from the DC area. I’m not a fan of word marks as logos, so I understand your reasoning for ranking the Caps this low. It’s unfortunate. But also, it’s what we have and it’s the team’s identity now. It’s way better than the blue and bronze and eagle from the 90s. It was refreshing when they brought back the red, white, and blue. I admit that the new logo and jerseys took a while to grow on me, but I’m proud of them now. And of course, the Weagle is great. 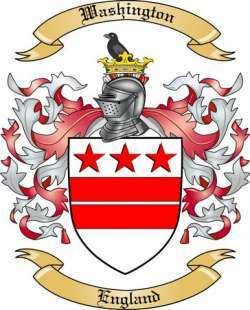 I undecided about making it the primary logo on the jersey. I can see how it would be nice, but the word mark is the team’s identity at this point. The Weagle is great as an alternate logo. I have been happy with the logo. But I do concede that your revisions make it a bit sharper. I never saw the Washington Monument in the Weagle. But I do see a W shape in the blue. I think that is why the blue pointed area is there. how can he not see that the second a continues the cross in the t of the hockey sick. It needs to be there and your redue design is way worse. good concept for a blog and certainly interesting, however it appears as another Monday morning quarterback who thinks he knows more than the pros. Haha, says the guy who’s never worked as a designer to the guy who’s been a professional designer for almost 10 years.